We love teaming up with fellow food lovers, and have now collaborated with Clare Morfin, author of the fabulous Easy Peasy Lemon Squeezy blog. Have you ever lost amazing family recipes when you’ve lost someone dear? I know I have! That’s what happened to Clare too, which spurred her on to start documenting and sharing her recipes. 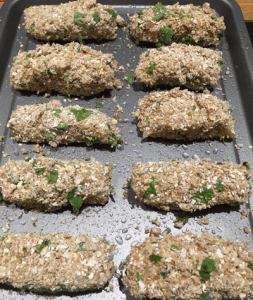 Clare’s blog is all about EASY recipes. Trained as a home economist, Clare looks to produce good, plain, tasty nosh with no nonsense. 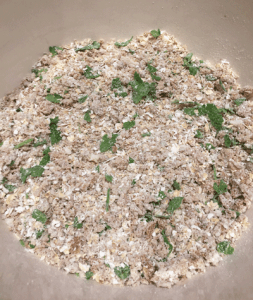 We asked her to develop a really simple, but tasty recipe with whole grains that the whole family can enjoy. 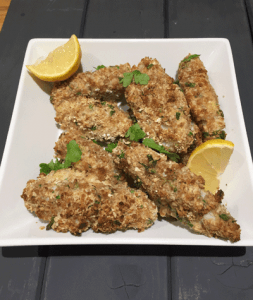 Clare has created this tasty Oat Coated Fish Fingers recipe – a take on an old classic using oats rather than breadcrumbs. Perfect for those week night meals. Read about the recipe on Clare’s blog, Easy Peasy Lemon Squeezy, and find out what whole grains are and why we should eat them. Check out our Whole Grain Goodness guest blog while you’re there too.